Weihai Jinyu Environmental Protection Technology Co., Ltd.
Anionic Polyacrylamide for drilling & water treatment & mining 1.ISO 9001:2000Standard 2.exported to North America, Middle East , Asia etc. CAS No. 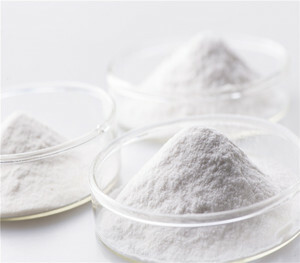 : 45-784-56 MF: CONH2[CH2-ch]n Appearance: white particle powder Properties: chemical flocculant & drilling agent Features: 1. No harmful residue 2. No color, no taste, no toxic 3. Easy to dissolve and fast speed. 4. Polyacrylamide powder can used in water treatment 5. 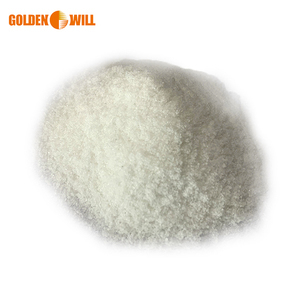 Strong treatment ability for the colloids and suspended particles Polyacrylamide has 4 kinds: anionic, cationic , nonionic and cationic-anionic polyacrylamide Specification: Type mol. 4. 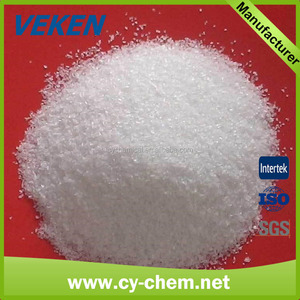 It is widely used in thickening, stabilizing colloid, reducing resistance, bonding, film forming and biomedical materials. The Company also participates in the production of small quantity of high value-added chemicals and intermediates. Our products include solvents, antifreeze, preservatives, pigment, chemicals intermediates, etc. It can speed up the sedimentation of particle in the suspension. We have a complete range of articles and can meet your needs. Because it is good at cleanse, seeping up sedimentation, filtration, thickening and so on. 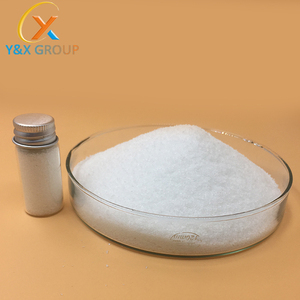 High Quality Cation Polyacrylamide for Waste Water Treatment and oil field Characteristics : Cation Polyacrylamide is copolymerized on cation monomer and polyacrylamide is one kind of high molecular Weight of liner polymer. Its functions include decolor, adsorption, cloud-removing and binding. Specification : Applications : Sludge dehydration Paper making auxiliary Treatment of waste water and organic waste water Water treatment flocculant (river water) Chemicals in oil field Packaging & Shipping Packing&Storage : 25Kg paper-plastic composite bag, or following your demand, its powder can absorb the moisture and become the block matter, thus it should be kept in dry, cool and ventilating place. It is always advised to do a jar test for evaluating the functioning and approximate dosage. Determine the floc properly at this time and note the sedimentation and clarity of top solution. In case of splashing into the eyes, flush it with fresh water and obtain medical attention. It&rsquo;s not soluble in most organic solvents, with good flocculating activity, and can reduce the friction resistance between liquid. 2. 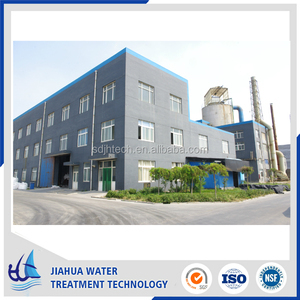 It can be used to treat industrial wastewater and life sewage water. &diams; specialize in providing chemicals and service for water treatment. Determine the floc properly at this time and note the sedimentation and clarity of top solution. In case of splashing into the eyes, flush it with fresh water and obtain medical attention. Most of the our products are sold to foreign markets, also have a good reputation in the international market. Penglai Spark Chemicals Co., Ltd.
Cationic Polyacrylamide (CPAM) for Paper Making Chemical, Sludge Dewatering, Constructions Product Name: Cationic polyacrylamide CAS No. 2. Business license of dangerous goods approved by China customs. 3. Stable quality and supply ability,key manufacturers of water treatment chemicals in China, enjoy the National Patent. Wet strengthening agent, resident agent for paper making. We can design package according to your requirement. 2.Our factory is located in the village,we has low rental cost and manpower cost. It is sensitive to salt electrolyte, and can be cross-linked into an insoluble gel with the high chemical price metal ion. (2) In the paper industry can be used as dry strength agents, retention agent, filter aid. (3)In the mining, coal mining industry can be used for waste water, coal washing waste water clarifier. Most acrylamide is used to synthesize polyacrylamides, which find many uses as water-soluble thickeners. Some acrylamide is used in the manufacture of dyes and the manufacture of other monomers. (2)This product is easy to sublimate, must pay attention to the seal. It is widely used in the fields of oil drilling, mining, coal washing, papermaking and water treatment, etc. 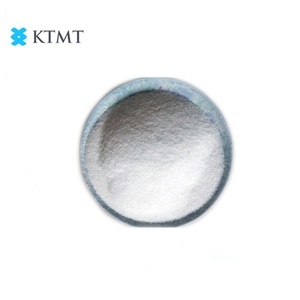 Anionic PAM can also be used for oil well and oil extraction in oil industry, and retention aids and intensifier in papermaking industry. Also with rich exprerience in chemical industry for decades, we help our customers to source their desired products. 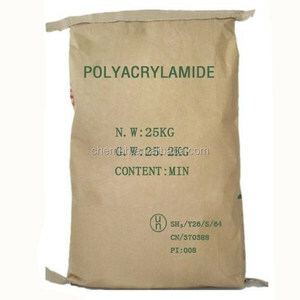 Foshan City Qiruide Additives Co., Ltd.
Alibaba.com offers 15,349 polyacrylamide products. About 64% of these are paper chemicals, 62% are petroleum additives, and 47% are leather auxiliary agents. A wide variety of polyacrylamide options are available to you, such as free samples, paid samples. 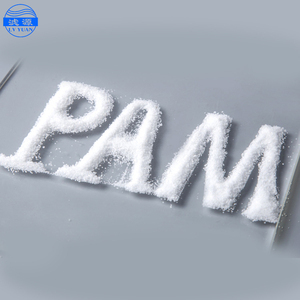 There are 15,191 polyacrylamide suppliers, mainly located in Asia. The top supplying countries are China (Mainland), India, and South Africa, which supply 99%, 1%, and 1% of polyacrylamide respectively. Polyacrylamide products are most popular in Mid East, Southeast Asia, and Western Europe. You can ensure product safety by selecting from certified suppliers, including 5,693 with ISO9001, 926 with Other, and 736 with ISO14001 certification.